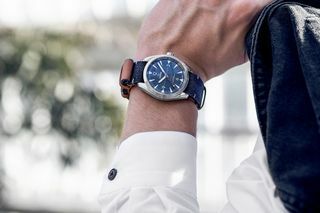 Omega has revisited its industrial past with a denim-inspired rework of the classic Railmaster watch. 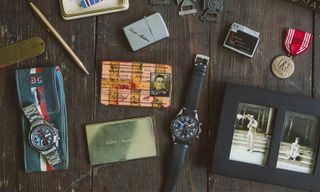 The original 1957 Railmaster was favored by laborers in the railway industry because of its anti-magnetic properties, while denim was the chosen material for garments worn by farmers and factory workers. 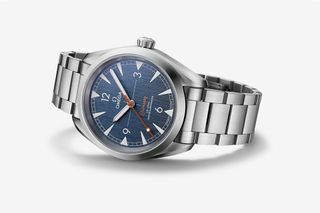 Omega’s latest denim-infused iteration of the timepiece draws inspiration from those workers of the 20th century, revamping the classic 40mm stainless steel case with contemporary touches. 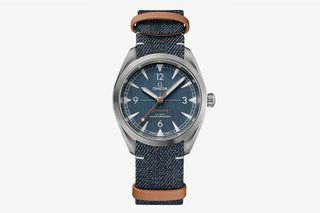 At the heart of the design are a conical crown, wave-edged case back, and blue jeans-inspired vertically brushed dial, while the beige lollipop seconds hand and “Railmaster” text on the dial are inspired by the stitching found in denim jeans. 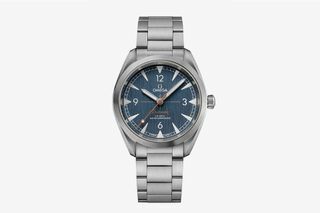 The watch is driven by Omega’s magnetic field-resistant Co-Axial Master Chronometer, while its scratch-resistant sapphire crystal dome and anti-reflective treatments make it a resilient option for day-to-day toil. 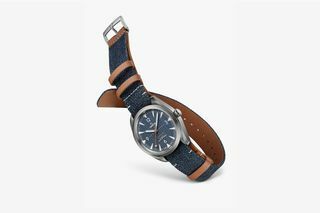 As seen above, the model comes with a vertically brushed NATO denim strap stitched with brown leather, or, for an alternative look, a sleek steel bracelet. 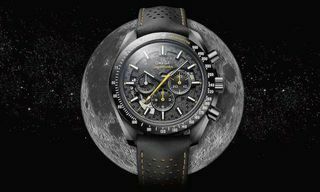 The former retails for $4,900 while its steel counterpart costs $5,000. 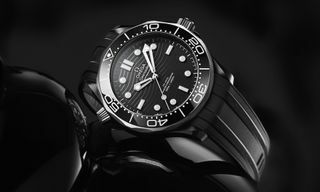 More details can be found over at Omega. 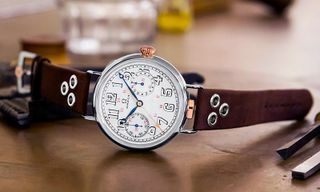 Similarly, Omega has revived its 18″ CHRO movement watch from 1913.